Our work in aviation systems has earned us recognition in areas ranging from groundbreaking research to leadership in global aviation. 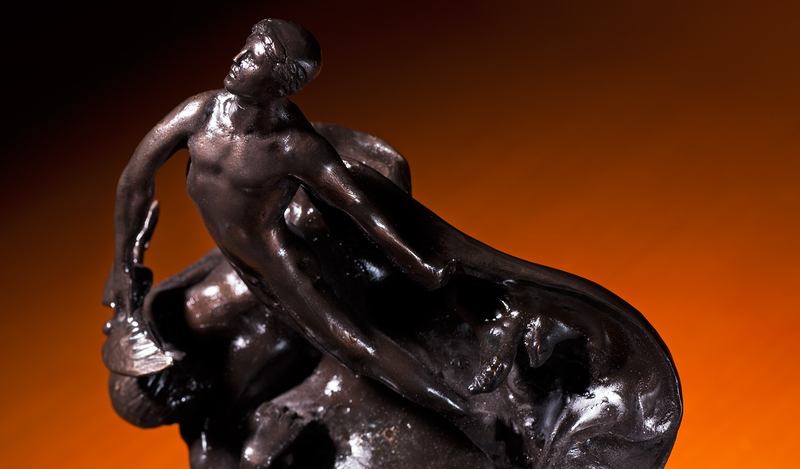 The Robert J. Collier Trophy is one of the aviation industry's most prestigious awards. Presented by the National Aeronautic Association, it annually recognizes "the greatest achievement in aeronautics or astronautics in America with respect to improving the performance, efficiency, and safety of air or space vehicles." MITRE, as part of a team of 26 public and private sector groups, was selected for the 2007 award for its efforts in conceptualizing, developing, and implementing ADS-B, or Automatic Dependent Surveillance-Broadcast, a satellite-driven system for transmitting and receiving information about an aircraft's movements and a cornerstone capability for the future of the National Airspace System. ​In 2013, the Association for Enterprise Information (AFEI) awarded CAASD its top honor, the Excellence in Enterprise Information Award, which recognizes excellence and innovation in developing and implementing solutions that dramatically improve the performance and value of an enterprise. CAASD won the award for our Performance-Based Navigation (PBN) Data Analytics project. This project produced a capability that automatically integrates a wide range of data on PBN procedure implementation and usage in the National Airspace System, enabling the Federal Aviation Administration to track its progress in implementing a PBN route-based system and clearly identify the benefits this system is providing. CAASD was part of the Three-Dimensional Path Arrival Management (3D PAM) team that received the 2012 FAA Excellence in Aviation Research award. The team was selected for this honor for its support of two core FAA goals: improving efficiency and increasing capacity in the National Airspace System. The 3D PAM project provided solutions for achieving maximum arrival throughput at airports at times of heavy demand. The 3D PAM concept uses metering—a schedule governing when aircraft are to arrive at designated points in space—to achieve a more precisely managed flow of air traffic into airports. 3D PAM also introduced a new decision support tool to help controllers meet the scheduled metering times. CAASD was recognized for helping to mature the 3D PAM concept and for developing the system requirements for the new tool. In 2010, we received an R&D 100 Award from R&D Magazine for our UAT Beacon Radio. The award recognized this device as one of the 100 most technologically significant products introduced into the marketplace during 2010. The UAT Beacon Radio is a miniaturized, battery-powered UAT that improves safety by enabling small airspace users such as gliders, small unmanned aircraft systems, weather balloons, and even skydivers to transmit their locations to aircraft in the same area. The device's potential benefits range from emergency management operations to search and rescue missions. The American Institute of Aeronautics and Astronautics, the world's largest technical society dedicated to the global aerospace profession, also honored the UAT and UAT Beacon Radio teams in 2009 with the Dr. John C. Ruth Digital Avionics Award. This award recognizes outstanding achievement in technical management or implementation of digital avionics in space or aeronautical systems. CAASD also received the FAA's 2008 Excellence in Aviation Research Award for our invention of the Universal Access Transceiver, or UAT, a digital radio system that significantly increases situational awareness for smaller aircraft and aircraft flying at lower altitudes.